Increasingly, aspiring entrepreneurs are turning to crowdfunding when traditional means of funding prove undesirable or prohibitive. And while we love a good success story, (check out our Top 100 Crowdfunded Companies list for heaps of those) not every Kickstarter campaign has a happy ending. According to industry website Crowdfund Insider, as of August 2013 Kickstarter had an overall success rate of only 44 percent, while Indiegogo sees less than 10 percent of its campaigns reach their funding goals. Likely reasons for the discrepancy include Indiegogo's flexible funding model, which allows campaign creators to raise money without hitting their funding goal (although they must pay fees). Also, the platform tends to be more open regarding the types of campaigns it allows. The New York City Opera was established in 1943 by city mayor Fiorella La Guardia as "the people's opera." But, after a seven-decade stretch, the NYC institution is now calling it quits. The company had been struggling in the last several years. Since 2008, the City Opera left its longtime home at Lincoln Center, slashed its performance schedule and borrowed against its endowment. Then, in September, the City Opera announced that it needed $20 million to be able to fund productions for the rest of the 2013-2014 season, and $7 million for the company to survive the month. While it asked private donors for most of the money, the "people's opera" asked the people to donate $1 million though 22-day Kickstarter campaign. By September 30, the final day of the Kickstarter campaign, the New York City Opera had 2,108 backers who pledged only $301,019 of its $1 million goal. The New York City Opera filed for Chapter 11 bankruptcy protection on October 3, 2013. The biggest failure that was actually the biggest success? From a pure numbers stand point the "smartphone and desktop PC in one" failed in a huge way. The Indiegogo campaign wrapped on August 21 nearly $20 million short of its $32 million goal. But raising $12.8 million in 30 days, including $3.4 million in the first 24 hours is more than just remarkable, it's record-breaking. 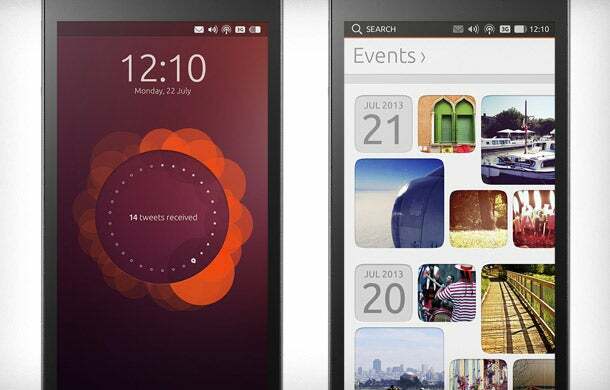 For its efforts the Ubuntu Edge received a lot of press and got a lot of people paying attention to the little know software company Canonical. But in the end they still had to refund the contributions from 27,000 backers. Former teen TV star Melissa Joan Hart was hoping to follow in the footsteps of the successful Hollywood movie Kickstarter projects from celebrities like Kristen Bell and Zac Braff. Her Kickstarter campaign this spring aimed to raise $2 million to make a romantic comedy called Darci’s Walk of Shame. Unlike Bell and Braff's projects Hart's proposal was a big departure from the types of roles her fans know her for -- most notably, as a down-to-earth teenage witch. The project only got support from 315 backers -- raising a small fraction of its goal in a month's time, before Hart walked away from the project. In contrast Bell's Veronica Mars Kickstarter campaign reached its $2 million funding goal in less than 12 hours, making it the fastest-growing Kickstarter campaign in history, and ended raising $5.7 million, breaking several Kickstarter records. Another celebrity attempting to ride the wave of Hollywood crowdfunding success, actress Zosia Mamet, daughter of Pulitzer Prize-winning playwright David Mamet, took to Kickstarter earlier this year to raise $30,000 to fund a music video project. The actress, who is best known as Shoshanna Shapiro on the hit HBO series Girls, wanted to make a music video for a folk song that she wrote with her sister Clara and described as "unique brand of folk via body percussion, banjo and harmonies." While her funding goal of $30,000 was significantly smaller than other celebrity projects, the tiny amount of 80 backers pledging only $2,783 suggests that the public wasn't very interested in funding a pet project for two wealthy women.